Safe, Durable, Cordless Window Shades. We're proud to announce two new products that have recently joined the Ocelco family: WebbLok and WebbGlide Shade Systems. The WebbLok Shade System is specifically built for behavioral health areas and the WebbGlide Shade System works perfectly in education facilities and other areas where shades can be easily damaged or torn. Specifically designed for tamper-resistance, the WebbLok Shade System is extremely durable. The cordless window blinds have pre-set leveling stops and heavy duty security boxes with security fasteners that provide a durable, attractive tamper resistant window treatment solution. Durable Window Shades with WebbGlide Technology. Our revolutionary window shades with WebbGlide technology are equipped with self-balancing technology within the roller. This means they can be easily adjusted by hand and will stay wherever you leave them. 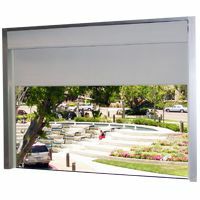 The spring roller is completely encased within the valance, making this shade system one of the most durable on the market. 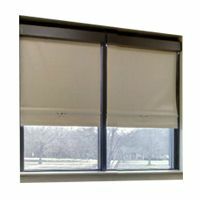 Additionally, these cordless window blinds come with side channels, which help keep the shade in place to ensure complete privacy for guests and patients. Browse these categories under "Window Shade Systems"